It’s one of the world’s hottest commodities, and now Rio Tinto wants to join the lithium party.Prices for lithium are soaring as traditional demand from ceramics and glass manufacturers coincides with rising demand from lithium ion battery and electric vehicle manufacturers. Rio recently announced that more than US$20 million will be directly invested in Serbia through the end of 2017 to complete the studies required for the prefeasibility stage of the project and obtain a resource reserve certificate from the Serbian Government. To date, Rio Tinto has invested US$70 million in the Jadar project, located about 140 kilometers from Belgrade near Loznica. Rio Tinto has authorized funding to complete the prefeasibility study of the Jadar lithium-borate project in Serbia. The Serbian government recently extended the exploration license agreement for the project. 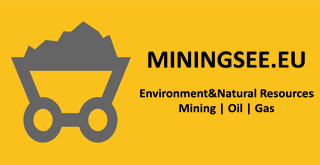 The Serbian government recently passed the law on Mining and Geological Exploration, which makes it more attractive to secure foreign direct investment in large mining projects. This is an important step to advance projects such as Jadar. Serbia is the only known source of Jadarite, a new mineral discovered in 2004 by Rio Sava, a wholly owned subsidiary of Rio Tinto. The Jadar deposit is a world-class lithium-borate deposit and among the largest lithium deposits in the world. If developed, the Jadar project would be a modern mine with processing facilities that could supply more than 10 percent of the world’s lithium demand for end uses including batteries and electric vehicles. Studies are underway to determine the optimum-sized operation that complements Rio Tinto Minerals’ borate mining operations in Southern California. During the next two years, Rio Tinto’s project team will conduct a number of studies to further assess the technical, environmental, economic and social viability of the project. The outcome of this work determines if the project can advance to Feasibility stage. To date, the work programs have considered many development options to identify the optimal pathway for mining and processing of Jadarite for the production of high quality lithium and borate products. Rio Tinto’s strategy is to invest in and operate long-life, low-cost, expandable operations in the most attractive industry sectors. These commitments provide opportunities to plan, implement and deliver sustainable developments that contribute to social well-being economic prosperity everywhere the company operates. Since the mineral location confirmation in the valley of Jadar, samples from over 200 drill holes were collected and completed more than 19.000 analysis which are the basis for optimistic opinion on the sustainability of this project. Mineralization is being conducted in three sediment horizons which are named lower, middle and upper zone of jadarite.